Anchoring the intersection of LaSalle St. and Jackson Blvd. 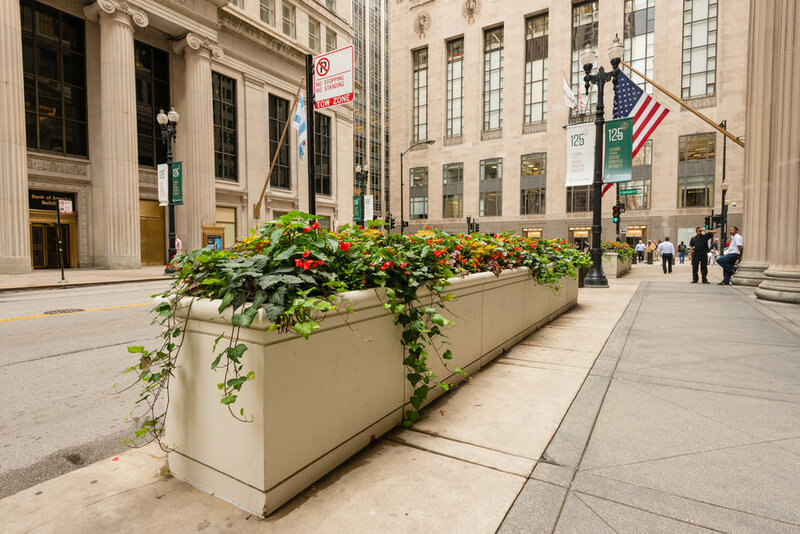 and in the heart of Chicago’s business district sits the Federal Reserve Bank of Chicago. The street is heavily shaded and the landscaping is composed entirely of containers. Christy Webber Landscapes designs, installs, and maintains four seasonal roations a year for the bank, keeping in mind the challenging urban conditions and limited sunlight of the location.